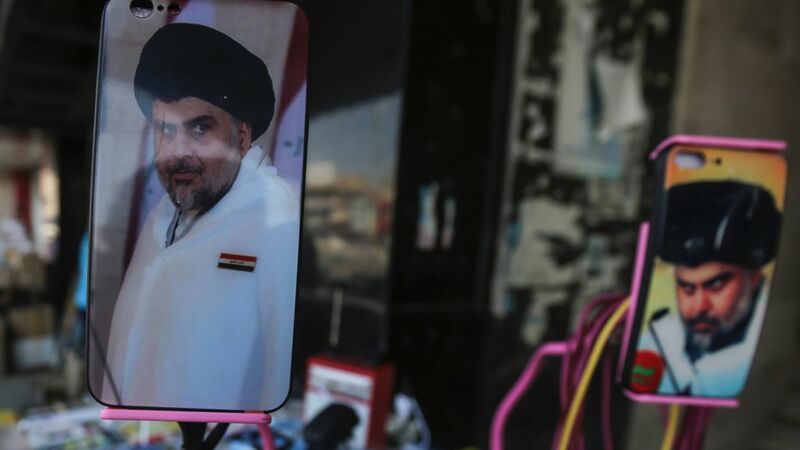 A coalition of blocs loyal to cleric Moqtada al-Sadr and Hadi al-Amiri, an Iran-backed militia chief, has emerged from Iraq's disputed election and is now seeking to ease concerns in Washington as it works to form a government, Al-Monitor reports. The details: A leader in Al-Amiri's Fatah Alliance, Karim al-Nuri, said in a statement on Wednesday that the coalition "is in tune with the vision of Iran and the United States." The coalition is viewed as a win for Iran, which will be able to "maintain its influence" in Iraq, Al-Monitor notes. The coalition is currently sitting at 141 seats, 24 seats below the 165 needed to form a government, per Al-Monitor.